Just five years ago, the perception of natural hair was much different. Our generation has been blessed with the opportunity to become more aware of social matters. Thanks to social media and blogs, we have been granted with tools which enable us to shed light to a broader audience, as Solange recently did. Most of our parents have been raised with the thought that straight hair is more beautiful than curly hair--these beliefs were first fed to us during slavery, when white characteristics gave our people more privileges. From that point in America, many black musicians opted for the relaxer or jheri curl kit in order to more easily facilitate their journey to fame into the 1990s. In the 1800s, something remarkable occurred: women of color were not allowed to wear their hair naturally as they were told it drew attention away from the non-colored women. As a consequence, creativity stepped into the black hair care world. Black women started experimenting with braided styles, headwraps and accessories. However, during the last few centuries a deep-rooted belief implemented itself into the life of most of our parents, grandparents and ancestors. Many of us had to break free in our own sense--we made the decision to bypass the relaxer and introduce naturally curly hair care products into our lives. Finally, our community has reached a point at which we understand how blessed we are for God granting us one of the many unique characteristics we have. The perception of the majority of us had changed within approximately five years. Actress Lupita Nyong'o's hairstylist, Vernon Francois, wants to contribute to the movement. 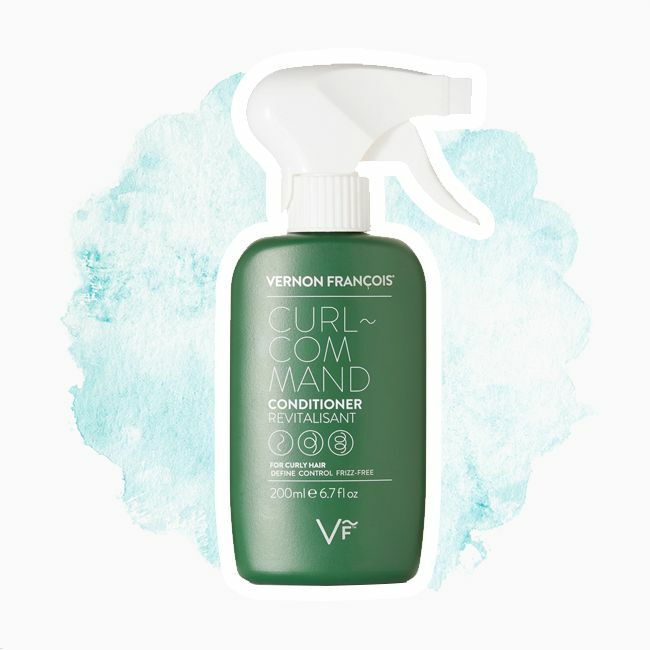 Thus, he decided to introduce a product line for us curlies! The history behind his vision is not about gaining profits, but more so focusing on the roots stemmed from childhood. He learned to take care of his natural hair at the age of nine. Therefore, he understands the challenges many curlies experience when getting to know their hair. Francois was already a professional hairdresser by age 14. If he can help it, the purpose of his new line is to assist naturalistas and professional hairdressers alike with the proper knowledge about caring for textured hair. Today, there is a high demand for education regarding natural hair care. Often many hairdressers lack the knowledge of the relation between curly hair, porosity and hair density. Consequently, many brands and hairstylists fail to match the specific needs of textured with products offered. From the perspective of a stylist who works with coily hair everyday, Vernon Francois has the potential to become a pioneer within the market. As we are forever gawking at the health of Lupita's beautiful texture, we are definitely looking forward to the moment we have the products into our hands. The products are currently priced between $30 to $40 on Net a Porter. He has a conditioner available on Net-a-Porter for $40.